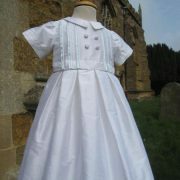 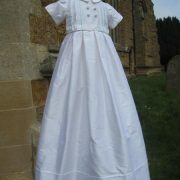 A new twist on the popular Fulham Boy Christening Gown and Romper. 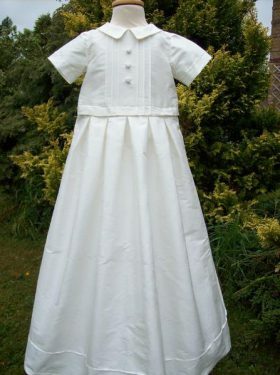 This is the perfect solution to any parent with the dilemma "Should my baby boy wear a gown or a romper?" 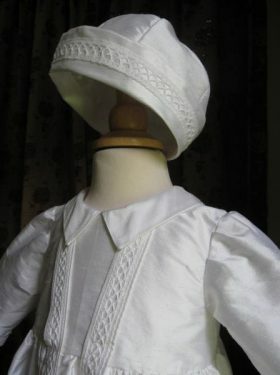 Well, why not have both? 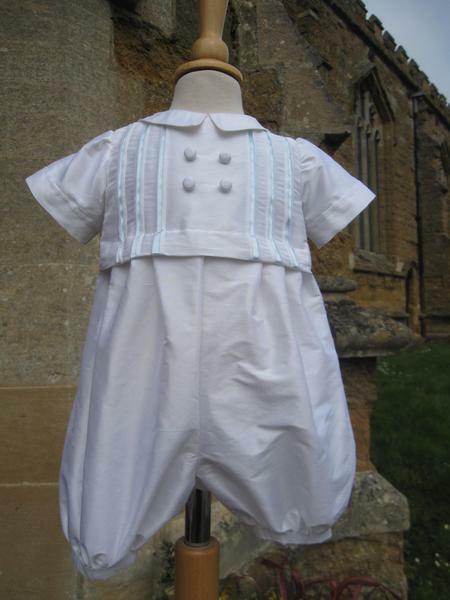 The Fulham Boy Gown and Romper is the ideal solution. 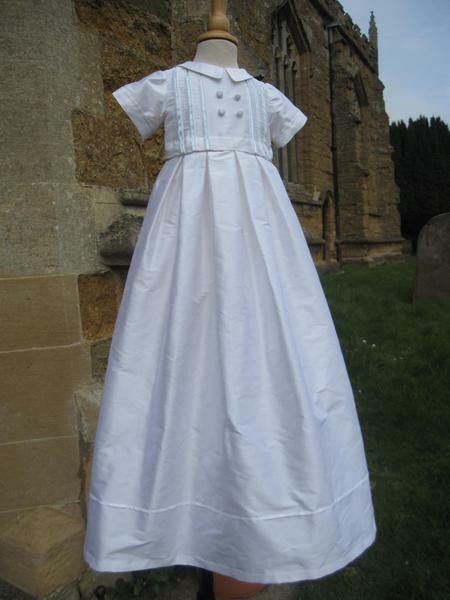 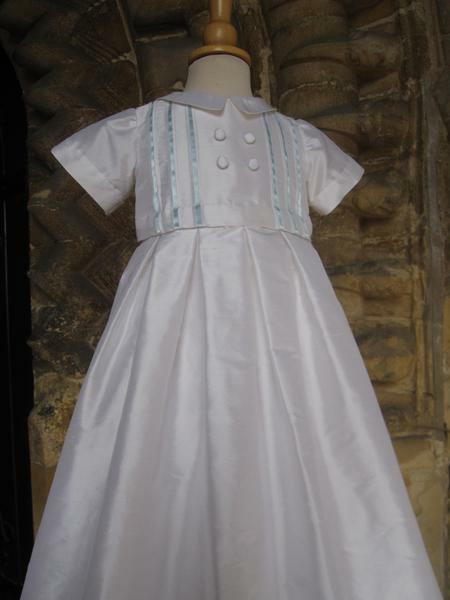 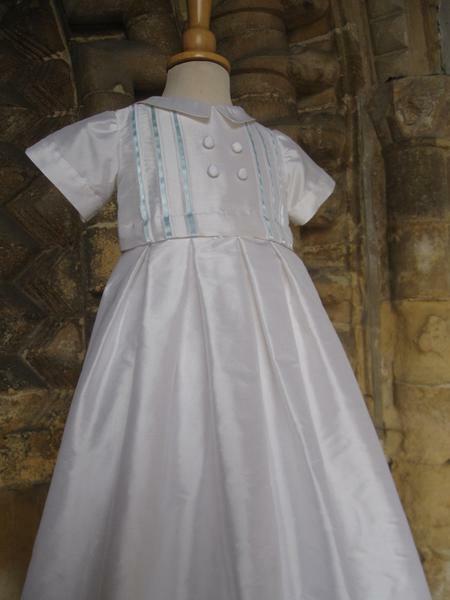 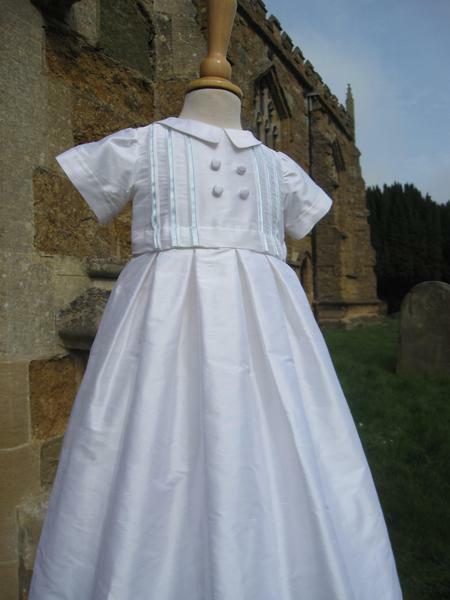 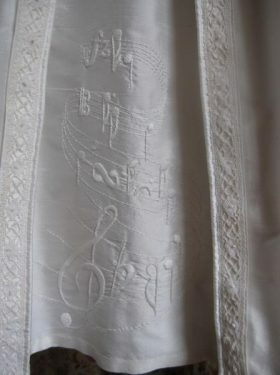 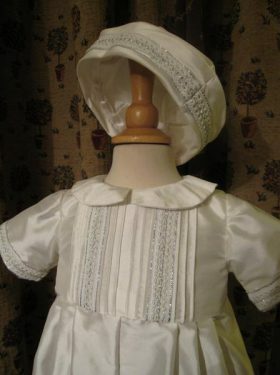 Your child will wear a gown for the baptism and then the skirt is then removed revealing the romper, which will be worn for the rest of the celebrations. 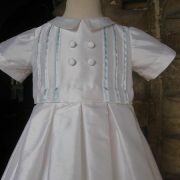 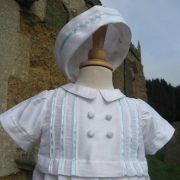 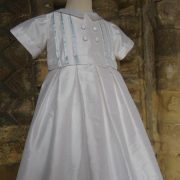 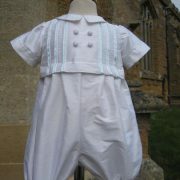 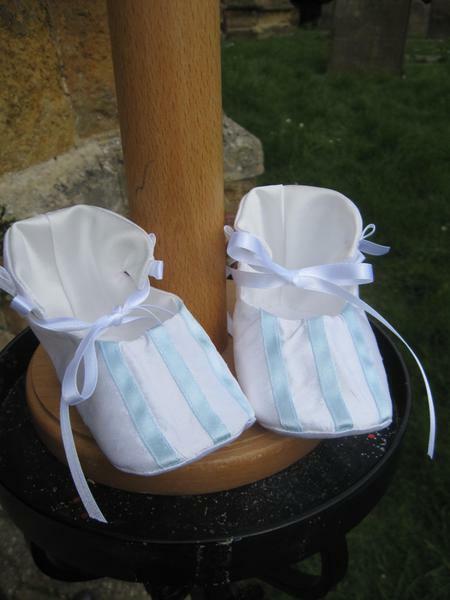 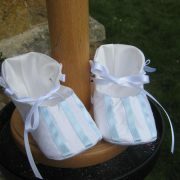 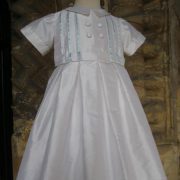 This Fulham Boy Outfit has been created using 100% silk dupion. 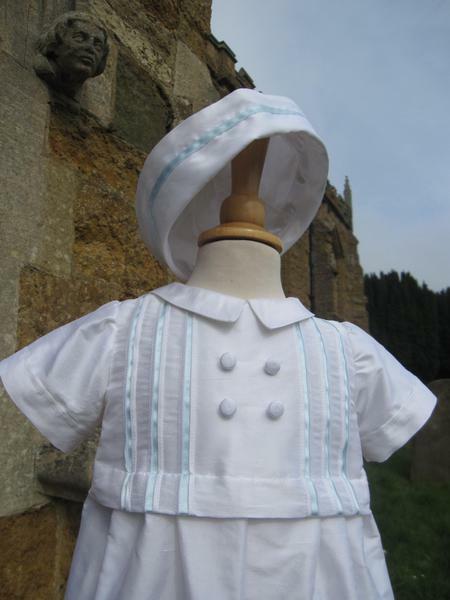 The romper is decoreated with baby blue satin ribbon and pintuck detailing on the bodice front with complimenting satin buttons and a small sailor collar. 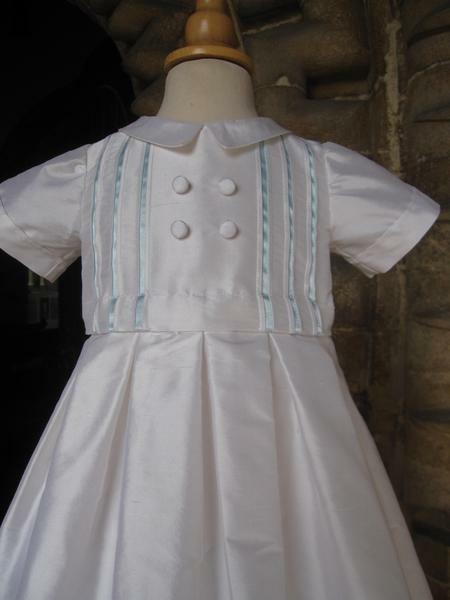 The shorter style legs are gathered into narrow cuffs, and are attached to the bodice in stylish pleats.